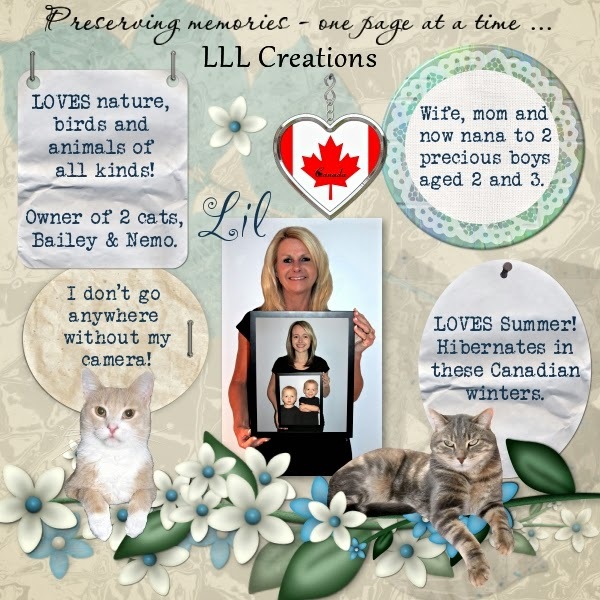 MyMemories Blog: Today's Daily Designer.....LLL Creations! Hi, I am Lil of LLL Creations. I've been designing for a number of years and have been with My Memories for 3 years. I'm a wife, a mom and a nana to 2 adorable boys and life is busy! I work part time 'outside' of the house, mostly to get me away from the computer. But 2 years ago my job changed and I now do computer work at my outside job too. Enjoy 40% off in my shop from August 4th -8th! Visit LLL Creations at these Social Sites! Visit LLL Creations in the MyMemories Design Shop and enjoy 40% OFF August 4 thru 8! make sure you head on over to my facebook page where I have just changed my exclusive freebie!